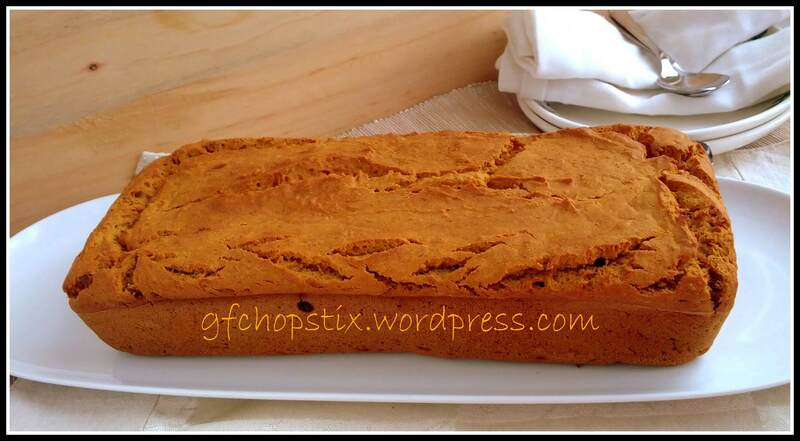 October – Recipe 5: Gluten Free Pumpkin Bread – Gluten Free – Lekker food! Lekker life! That’s right, another pumpkin recipe! This being the last week of October, is also the last of my ‘popular bloggers’ recipes, with my adaptations. 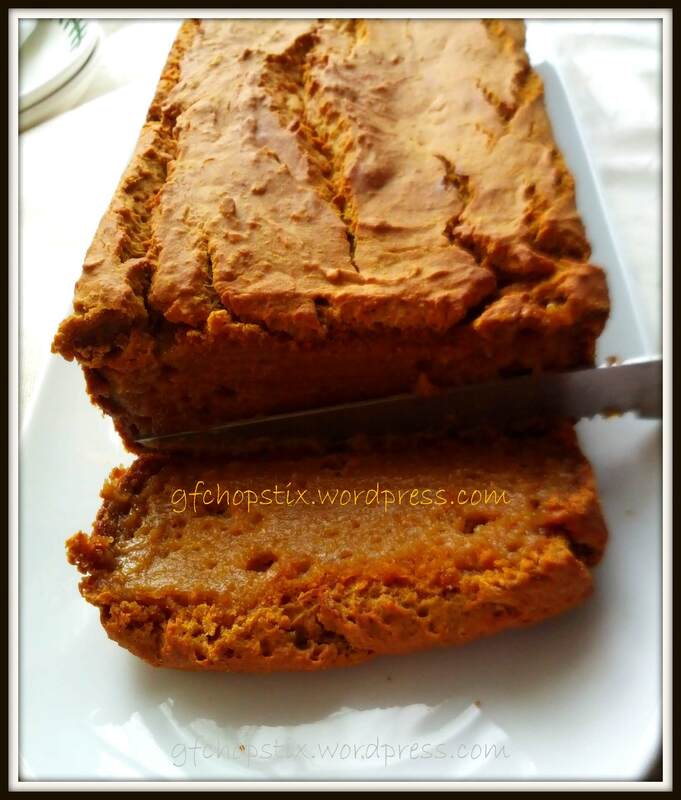 Pumpkin has been a main attraction this month, and my last recipe is no exception. I’ve never baked with pumpkin before. Really. Never. I have of course, eaten it as a vegetable dish, or with other savoury foods, but I’ve never actually used it as an ingredient in a baked dish. I wasn’t really sure how to go about incorporating this versatile vegetable into a recipe, and then I happened to see that, Shirley, from glutenfreeeasily.com, had a great list of pumpkin recipes on her site. Of course, I chose the winner, and most popular recipe of them all – Vegan Pumpkin Bread by Alisa. Alisa’s recipe calls for canned pumpkin. Pumpkin in a can? I had never heard of it until now. Although I wasn’t surprised, since nowadays, so many foods do come in a can! I however, decided to use fresh pumpkins, since I wouldn’t even know where to begin looking for canned pumpkin. Since it is pumpkin season, it was perfect timing. 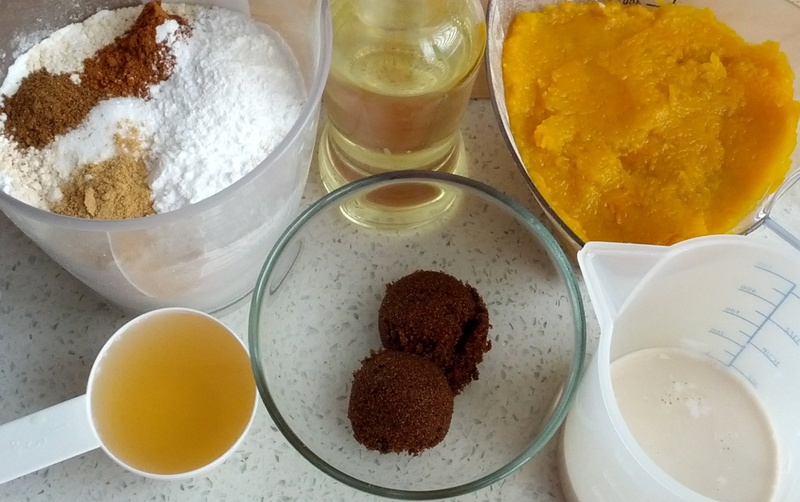 I also wasn’t sure how to go about making pumpkin puree, so I read up about it. Ah, the wonders of the internet! With two recipes in hand, I was ready to go. First, I roasted a butternut. Then, I baked the bread. 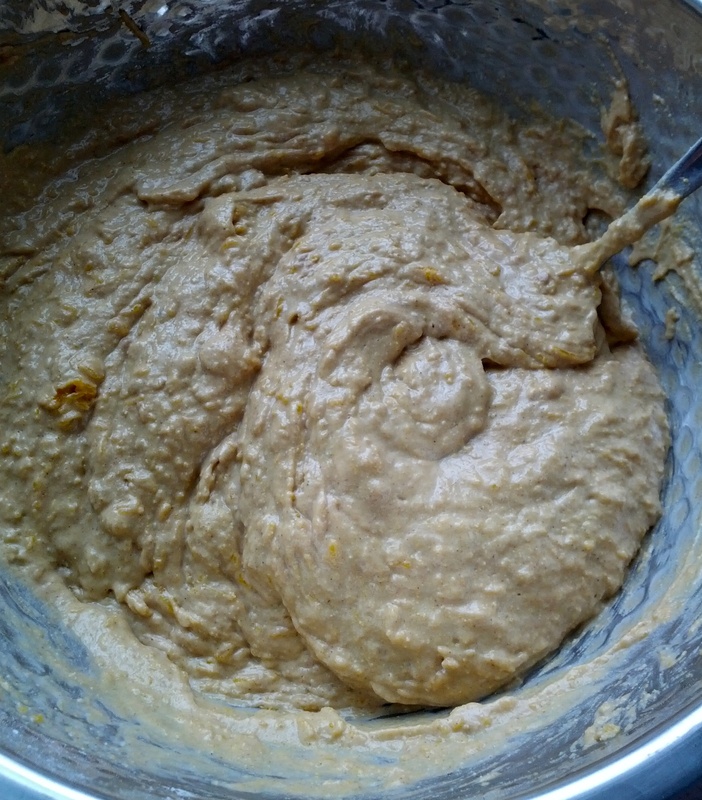 My adapted pumpkin bread recipe follows. It was really moist on the inside, and crisp on the outside, after cooling for a while, and then great toasted the following day! 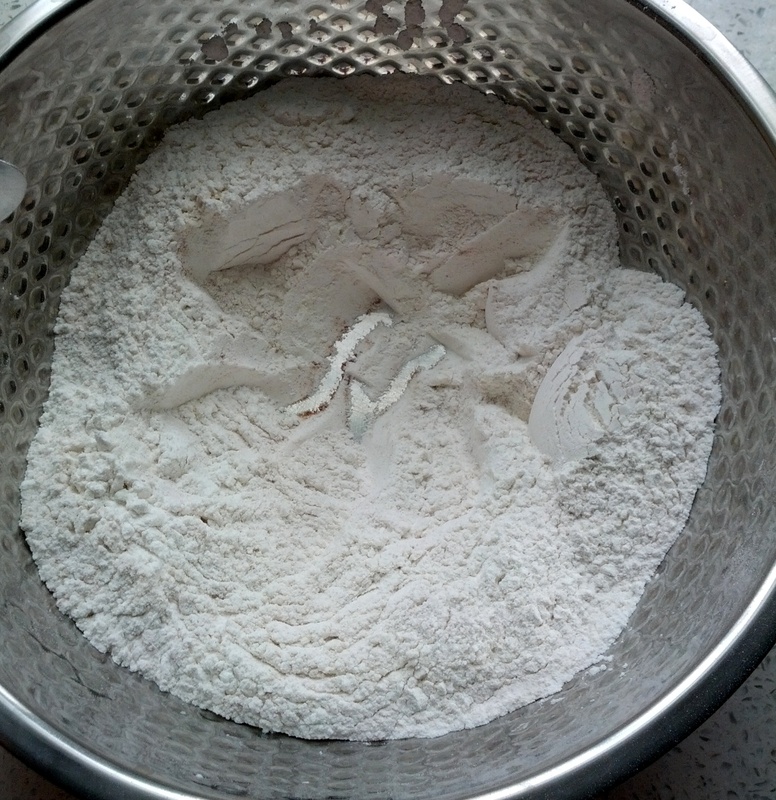 I added an additional 1/4 cup of water because coconut flour tends to hungrily soak up any liquid. I baked the bread for 45 minutes, until the top browned. It could probably have done with an extra five minutes. I did enjoy this sweet bread, although I thought it contained perhaps too much pumpkin for my liking. Being new to pumpkin bread, I was expecting it to be more like my banana bread which I love, but this was very moist and quite gummy. In case you’re confused with my intro on this post, I baked this bread just before I baked the Halloween pumpkin cupcakes, but since it is week five of my October recipes, it slots in here. Previous Post This is what makes us girls, right? Next Post Peter Pumpkinhead came to town…. Would you have any recipes to gluten free breakfast bread? (I know you don’t use eggs either, but this one doesn’t have to be egg-free). My brother is visiting soon and he doesn’t eat gluten. 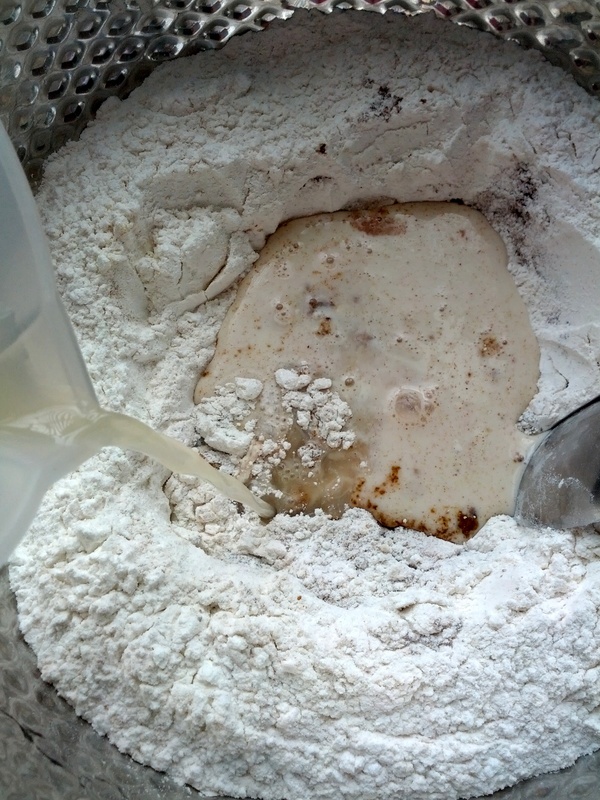 The gluten-free bread in the stores is just awful so we’d like to try and bake at home instead. 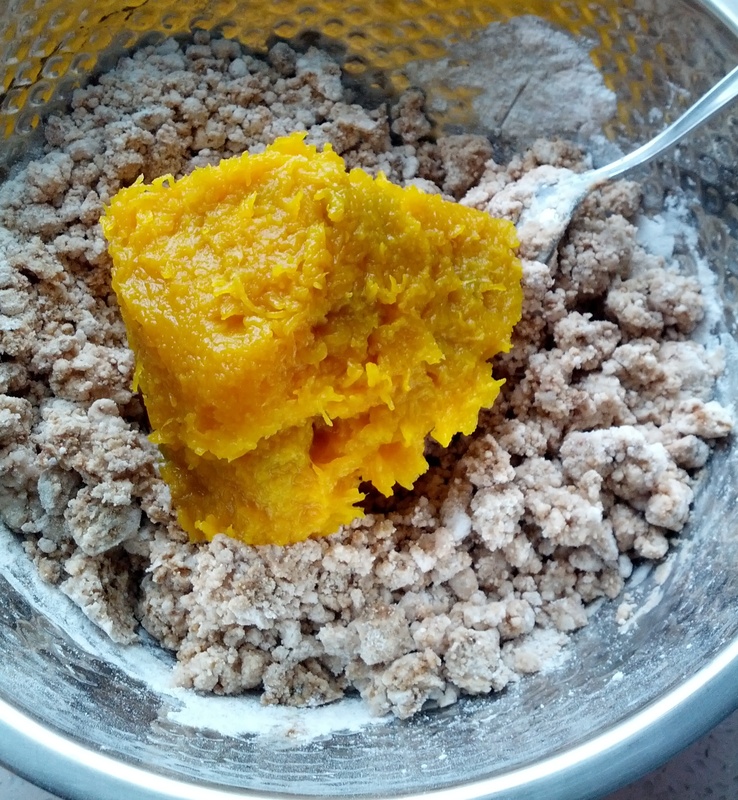 Pingback: Pumpkin Puree – what to do with it? | Gluten Free. Lekker food! Lekker life!